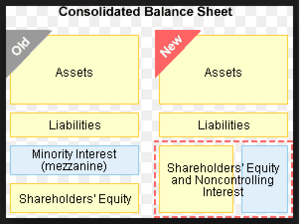 What are Consolidated Financial Statements about? Consolidated Financial Statements are the financial statements of a group of entities in which the assets, liabilities, equity, income, expenses and cash flows of the parent entity and its subsidiary entities are presented as those of a single economic entity. combine the financial statements of the parent and its subsidiaries line by line by adding together like items of assets, liabilities, equity, income and expenses. eliminate the carrying amount of the parent’s investment in each subsidiary and the parent’s portion of equity of each subsidiary.